Darryl joined ICE WaRM as Managing Director in September 2016. Darryl has more than 35-years of experience in the water and energy sectors. Darryl is a Life Member of the Australian Water Association and was the National President of the Association from 2005 to 2007. In 2015 Darryl was appointed as a Fellow of the International Water Association, a Fellow of Engineers Australia and awarded the Professional Engineer of the Year for Engineers Australia – Northern Division. Previously, Darryl was Executive Director Water Directorate, Department of Land Resource Management with the Northern Territory Government and General Manager with the Power and Water Corporation. Darryl Chairs the International Water Association (IWA) – Australian National Committee and has been the Co-Chair of the Programme Committee for the Singapore International Water Week – Water Convention since 2009. Darryl is the Chair of the Industry Advisory Board of the School of Engineering and Information Technology of Charles Darwin University. Cameron Miller joined ICE WaRM as Finance and Administration Manager in January 2005 and was appointed Company Secretary in 2006. Cameron previously held the role of Financial Controller for Speakman & Associates Pty Ltd and Select Staff Pty Ltd from 1995 to 1999. He was appointed a Director of both companies from 1999 to 2003, when the businesses were majority owned by international staffing service provider, Select Appointments (now Randstad). He was Financial Controller for Transax Australia Plc (now Certegy ezi-pay) from 1992 to 1995. A graduate of the Royal Melbourne Institute of Technology, with a Bachelor of Business degree in Accountancy, he is a Fellow of CPA Australia. Ian joined ICE WaRM in May 2009, coming from a position as Manager of Research and Education in the Joanna Briggs Institute. Ian began his teaching career in the SA Dept of Education as a secondary teacher and joined the University of South Australia in 1995. His work at the University of South Australia included student support, academic development, curriculum development, strategic advice and leading online education across the University. This culminated in his appointment as Associate Professor for Online Education in 2006. In 1998 he created the University’s online teaching and learning platform, UniSAnet, and up until 2008 he managed online education and directed the development of UniSAnet. With over 20 years experience developing and managing national training programs, Trevor specialises in building strategic networks between staff in industry, government, consulting, education and research. The aim of these links is to help raise capabilities, knowledge and skills in sustainable water management. Before coming to ICE WaRM Trevor was Manager Water Sector Training at the Australian Water Association, and before that, Industry Training Manager at the Centre for Groundwater Studies (CSIRO) and National Centre for Groundwater Research and Training (Flinders University). A career highlight for Trevor was working at the UN in Vienna, building groundwater training programs for developing nations. Michelle has gained extensive marketing and communications experience in the health and education sectors during her time with Australian Red Cross and the University of South Australia. She has worked in international development in Cambodia developing communication strategies and behaviour change campaigns and also spent time as a journalist in Ethiopia. Prior to this, Michelle worked for 10 years in digital communications including website development and content management and held a position in advertising and with a large internet provider. Michelle’s current role includes strategic planning and production of the ICE WaRM Annual Review. Joel Voortman joined ICE WaRM in May 2011 as a Project Coordinator for the Short Courses. In November of 2016 he was appointed ICE WaRM’s Business Development Manager. This is a diverse role, including identifying new business opportunities for the Centre, client liaison and relationship building and publicity. Joel also assists the Goyder Institute for Water Research with administration requirements. Joel brings knowledge and experience to this role, having worked at Flinders University for nearly five years within the Centre for Groundwater Studies – CGS/ NCGRT. Claudia Alfaro joined ICE WaRM in June 2017 as a Senior Project Coordinator. This role provides participant and programme administration; and client support for non-award programmes, visits, exchanges and study tours. Claudia brings with her over 10 years of knowledge and experience in stakeholder/community engagement and administrative process improvement. She has previously worked in various Federal and South Australian Government departments and an international adult education company. Molly joined ICE WaRM in November 2004 as one of its founding staff members. She brings a wealth of experience in secretarial, administration, finance and management skills to ICE WaRM. She has worked in London, Singapore and Australia to provide administrative support, corporate function and event planning as well as finance and operations support. Molly worked for an international student services company before joining ICE WaRM. Danielle Cooper joined ICE WaRM as an Administrative Officer in October 2009. Danielle’s background is in Secretarial/Administration, where she has over 15 years’ experience predominantly working in law firms in both Adelaide and London. Danielle was appointed Executive Assistant in 2017 which included finances, travel arrangements and event management. In 2019 Danielle was appointed as Partnerships Officer. Andrew has nearly 40 years’ experience in natural resource, water and environmental management working in environmental impact assessment, soil conservation and land management, landcare, dryland salinity, water policy, flood hazard management, industry and community development and legislative reform. In recent years he has provided Program and Project Management responsibilities for a range of major NRM and River Murray works and industry reform initiatives. During his time within Government he was a member of a wide range of state and national statutory and advisory committees and was responsible for negotiating major funding agreements with the Commonwealth. Since August 2015 he has been on long service leave; travelling and undertaking contract employment with ICE WaRM and other organisations. As part of this work he has travelled extensively overseas to Nepal and India (Rajasthan) advising on water resources capacity building and water management initiatives. Prior to that he was the Group Executive Director within PIRSA with overarching responsibility for the South Australian Research and Development Institute, Biosecurity SA, Rural Solutions SA and River Murray initiatives including delivery of the $265m South Australian River Murray Sustainability Program and redevelopment and expansion of the Loxton Research Centre and incorporation of the National Almond Research Centre of Excellence. John is a highly-knowledgeable water executive with expertise developed over 30 years in the water industry, in the UK, South Africa and Australia. John was an active and strategic member of SA Water’s Senior Executive Team for 11 years, leading divisions of approximately 180 employees with in excess of a $50 million operating budget. With over 15 years Board experience, John played a key role as Foundation Director and Deputy Chair of Water Research Australia and was a past Director of the Australian Water Association. As SA Water’s Chief Scientific Advisor, John led the Australian Water Quality Centre and was a member of the working group which developed the Australian Drinking Water Guidelines Framework for Drinking Water Quality Management. As General Manager of Strategy & Planning at SA Water, John’s responsibilities included Asset Management, Corporate Strategy, Research and Innovation, Water Security and Planning, Water Quality and Treatment Strategy and Environmental Management. John represented SA Water on the Allwater Alliance Leadership Team managing the operation and maintenance of Adelaide’s metropolitan water and wastewater systems. Pradeep Mathur was appointed as the ICE WaRM Partnership Support Adviser, Water Sector in January 2016. 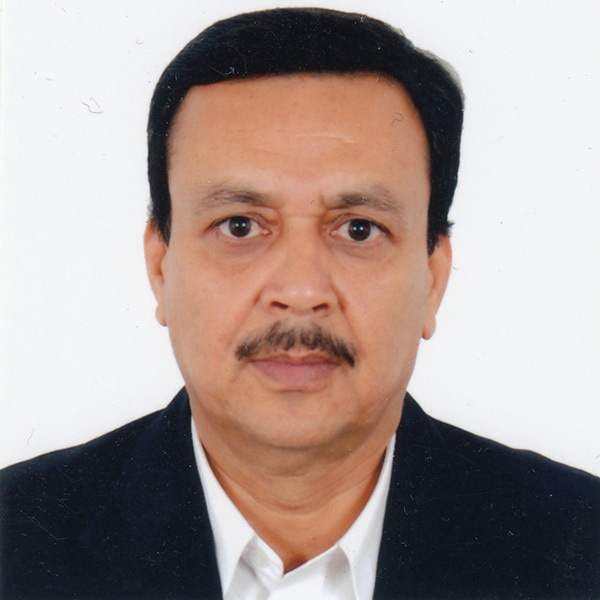 Pradeep served the Water Resources Department, Government of Rajasthan, India in various capacities for 38 years and was Chief Engineer, State Water Resources Planning Department until September 2014. Pradeep was the Adviser for the European Union supported State Partnership Programme (EU-SPP) in Rajasthan. Pradeep has extensive experience working with international organisations such as the World Bank, Japan International Cooperation Agency, the Asian Development Bank and the European Union on various projects in the State of Rajasthan. Pradeep has been associated with the delegations from the Australian Government and South Australian Government. Pradeep was instrumental in drafting the Rajasthan State Water Policy in the 1999 – 2010 which included the proposal of setting up a Centre of Excellence in Water Sector in Rajasthan. Pradeep has published several technical papers in technical journals. Keshab has over 30 years of experience in the water resources and power sector of Nepal. Before 2017, he served in the Government of Nepal in various capacities in different agencies, including the Department of Irrigation, Department of Electricity Development and Ministry of Energy, Water & Energy Commission Secretariat. He was a Joint Secretary in recent years in the civil service, mostly involved in water resources and power sector planning works, developing institutional mechanisms in water sector, and drafting policy, legislation and guidelines, which he has continues today as a consultant. Ris Sukarma joined ICE WaRM as Partnership Support Consultant in February 2010. He is based in Jakarta, Indonesia. He has over thirty years experience in water and environmental sanitation, including employment as an Indonesian government official for 19 years and as operations officer with the World Bank for more than 12 years. He is still currently working as the World Bank consultant on a part-time basis, and during his spare time, is developing household water treatment for poor communities. Ris holds a Sanitary Engineering Degree from Bandung Institute of Technology and a Diploma of Hydrology from IHE, Delft, in the Netherlands. Le Van Minh joined ICE WaRM as Partnership Support Adviser in August 2010. Based in Hanoi, Vietnam he covers the Mekong sub-region. Dr Minh has more than thirty-five years experience in sustainable water resources management. He currently also acts as Chairperson for the Global Water Partnership, South-East Asia (GWPSEA). Previously, Dr Minh was Director General, International Cooperation in the Vietnamese Ministry of Agriculture and Rural Development (MARD) and has held senior positions too with the Vietnam National Mekong Committee and Mekong River Commission Secretariat. Dr Minh has a Bachelor Degree from Moscow Civil Engineering University and a PhD from St Petersburg Civil Engineering University in Russia.